Stunning and stocked in every style, Peaches Boutique’s collection of homecoming dresses 2018 meets the changing fashion tastes and trends of the season. Expect to see shopper's favorites, like strapless fit and flare satin dresses, bandage lace minis, or a-line silhouette homecoming dresses made with chiffon. 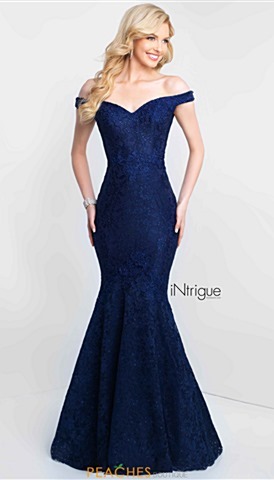 Looking for elegant floor length homecoming gowns? No worries, Peaches Boutique stocks it all so stop in today to find your 2018 homecoming dress. Homecoming is great way to kick off the school year. It's a night to create memories with your high school friends and take pictures. It's a night where you mingle with the people you will make lasting memories with. You dress up in elegant, fun and dazzling dresses, take pictures and dance the night away. Homecoming is a formal dance that celebrates the welcoming of the new school year. Many girls prefer to wear fun short dresses, but long dresses for homecoming are more popular every year. Whatever length you like most, you can find it in our wide selection of homecoming dresses. Homecoming dresses are a perfect way to set the bar for all your 2018 school dances, whether you want to start the school year with a sweet and sassy or fierce and flawless homecoming dress, we have what you are looking for along with the perfect heels and accessories. Accessorize your homecoming dress with some tear drop earrings, a sparkly bangle bracelet and a striking clutch and you will look dressed to the nines in your complete homecoming ensemble. Use our advanced search tool to look for homecoming dresses if you already know what style you like best. If you are up in the air on the perfect silhouette for you, come in and experience one on one attention and try on a variety of phenomenal homecoming dresses that will have you standing out from the crowd. If you cannot make it to our Chicago store, shop online and receive free ground shipping and no sales tax outside Illinois. Homecoming is an eventful night full of taking pictures and dancing around with friends. It is also an opportunity to find the perfect dress that will make you look glamorous, dance with friends and a date, and get super excited about the after parties. It is the one night you get to come home super late because you are out having the time of your life with friends. Homecoming is a night for high schoolers to let loose but also get dressed up like they're going out on a night in the city. Their dresses present a piece of themselves that show off their personality and sense of style. While you want to look fashionable and trendy, it is also important that you choose a dress that makes you feel comfortable and confident in yourself, so you can really let loose on the dance floor. This night is the time in which you are able to celebrate the beginning of a new school year. There is no better way to start a new school year with an ideal dress in which you'll take hundreds of pictures in. Homecoming is the first dance of the year where everyone comes back together after break and start the school year on the right foot.